Welcome to this Damsel in Defense review. Disclaimer: Neither I nor Online MLM Community are affiliated with Damsel In Defense. 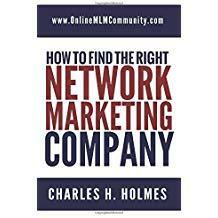 This information is for educational purposes to help people decide if this is the right company for them. 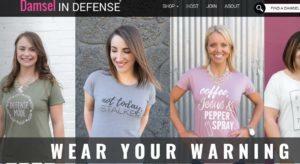 A highly unique multilevel marketing company, Damsel in Defense claims a mission of equipping, empowering and educating women to protect themselves and their families. I am going to tell you about the company history, leadership, products and compensation plan. From there, you can decide if this is a home based business you would want to start, or even just purchase any of the products for your own use. In 2011, two women put their brains and passion together in an effort to help women protect themselves and become financially independent. Mindy Lin and Bethany Hughes started Damsel In Defense and the idea quickly became a hit. Headquartered in Boise, Idaho, Damsel In Defense carries an A+ rating from the Better Business Bureau. This leadership team is always working on ways to support independent Damsel In Defense representatives. Products are added consistently, and much of the Damsel In Defense MLM sales and recruiting is done using a party plan method. The Damsel In Defense compensation plan is straight and blunt. You will earn 25 – 30% commission on sales depending on your level. Once you reach Junior Mentor, you earn bonus commissions from downline sales and once you reach director, you are eligible for team bonuses and generation bonuses. There is money that can be made in Damsel In Defense, but you do have to work at it. I am a firm believer in educating and helping humans defend themselves. I like the idea of Damsel In Defense but I do believe there needs to be a bigger focus on teaching customers when, where and how these devices should be used. There is also the issue of legalities. Stun guns are not legal in all States and cities. So you have to watch closely that you are not selling to a person who lives where they are illegal. Plus, these are normally a one-time purchase item. Most people are not going to purchase self defense products on a regular basis. Great direct sales business that has meaning behind it. Our mission is to empower, educate, and equip. For me as a college student, safety is my number one concern so this company is helping me make money and helping those around me be safe. Looking at the whole picture, I believe Damsel In Defense is a good MLM business. Like any business, there will be some errors, but overall, I feel they have a great system. It probably would help to add some products that are used regularly and can be repurchased. I would say that for any person who has a passion to help others defend themselves, this would be a great home based business to start. So what are your thoughts? Feel free to leave all comments and questions below. Thank you.